JEDDAH — The Islamic Corporation for the Development of the Private Sector (ICD), the private sector arm of the Islamic Development Bank Group (IDB), and the IL&FS Investment Managers Limited (IIML), the private equity arm of IL&FS Group, signed a shareholder agreement to establish an infrastructure fund focused on Africa. Khaled Al-Aboodi, chief executive officer of ICD, and Krishna Kumar, chief executive officer of IIML, signed the agreement here. ICD and IIML will collaborate to establish this fund in order to finance small- to mid-sized infrastructure projects in the member countries with a focus in Africa. The fund will target mainly the power and transportation sectors and will promote integrated projects within Africa. It will be the first of its kind, financing fund following Shariah principles and targeting all the impactful sub-sectors within the infrastructure sector, which includes healthcare, transportation, utilities, power and telecom industries. The aim of the fund is to finance commercially viable projects and deliver more sustainable and thus catalyzing infrastructure for private sector development mainly on the continent of Africa. 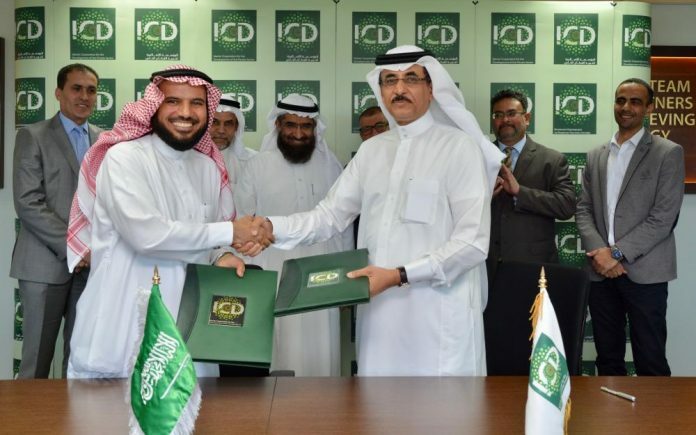 ICD signed on Tuesday a Memorandum of Understanding (MoU) with JANA Bena’a Productive Families of Saudi Arabia in order to test a new banking model named “Biniog Sathi”. With the signing of the MOU, both parties agreed that JANA will be incorporating the new model as a test case in its Qarde Hasanah Program, which is now being operated in different parts of Saudi Arabia. Al-Aboodi and Mohammed Al Khamis, chairman of JANA Bena’a Productive Families, signed the MOU on behalf of their respective institutions. “Biniog Sathi”, meaning “Friend in Investment” in Bengali, is a new generation banking model developed by ICD that will resolve the problem of credit default in the banking industry with the help of Zakat and Sadaqa. The model is based on Islamic finance principles and it will make Islamic banking more competitive. Mabroor Mahmood, principal-term finance of ICD, Bassem Khanfar, microfinance advisor of ICD, and Mahmood Al Shami, executive director of JANA Bena’a Productive Families also attended the signing ceremony. JANA Bena’a Productive Families Centre is an initiative by Sh. Sulaiman Al Rajihi, which provides interest free loans to support women in starting their own businesses to create a better future for the productive families and support the Kingdom’s Vision 2030. JANA provides interest-free loans along with other Islamic financial services, and rehabilitation services for low-income women to improve their status of living by creating a unique and effective practices of microfinance.